Wolfgang Engels was a man on the wrong side of a wall. Conscripted into the East German army, nineteen-year-old Wolfgang Engels found himself tasked with placing barbed wire alongside the infamous Berlin wall as a deterrent to all those who might be considering a relocation to West Berlin. 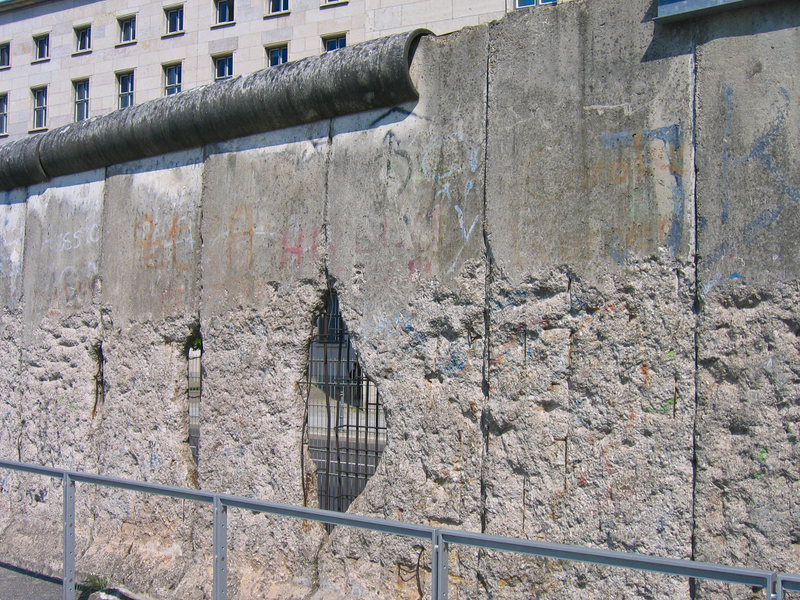 The wall, which was completed in August of 1961, was built under the pretense of defending East Germany from the “anti-fascist” forces it claimed would seek to jeopardize its socialist government. While 3.5 million Germans saw through the ruse and defected to West Germany before the wall was finished, the rest of East Germany would not learn the truth until it was too late. The Berlin wall was not meant to keep anti-fascists out—it was meant to keep East Germans in. Over the course of the next 28 years, travel between East Germany and West Berlin was close to impossible, though it didn’t stop many from trying. Around 5,000 people would manage a successful escape to West Berlin after the wall’s completion. At least 136 would be killed in the attempt. It wasn’t long before Engels began looking for a way past the wall as well. The only native Berliner in his unit, Engels began noticing unsettling similarities between East Germany’s socialist rule and the methods of Nazi Germany some decades prior—similarities that prompted him to find an escape route. The plan he finally settled on was equal parts unpolished, foolhardy, and awesome. On May 1, 1963, East Germany planned to hold a celebration as a way of flexing its military muscles, and like all good celebrations, it would feature a parade. Drive it through the wall. Engels was undeterred by the various loose ends in his plan, such as not having even a remote working knowledge of how to drive a tank, or the fact that border guards had orders to shoot anyone even looking like they were trying to sneak out. Most things in life aren’t stupid enough to stand in front of a tank moving at a full clip, and Engels was hoping that 12-foot concrete walls fit into that category. So he buddied up with the tank’s drivers that day before dinner and got as much information as he could about how it worked. (Probably just the standard questions, like, “How do you start it?”, “What makes it go forward?”, and “How does it fare in a head-on collision with concrete?”) When the drivers left to go eat, Engels hoped in and proceeded to execute step two of his master plan. Unfortunately (but not unexpectedly), not all went according to plan for Engels. His foot slipped off the tank’s accelerator at a critical moment, and instead of a full-on charge at breakneck speed, the tank managed a slow and unimpressive crawl toward the wall, which it then proceeded to embed itself in. Engels was still undeterred. He was determined to get to the other side of that wall, no matter the cost, so he decided to to try scaling it. He opened the driver’s side door, and leaped out…right into the barbed wire he and his unit were responsible for placing. Still unfazed and running on adrenaline, Engels began freeing himself from the barbed wire just in time to be shot. 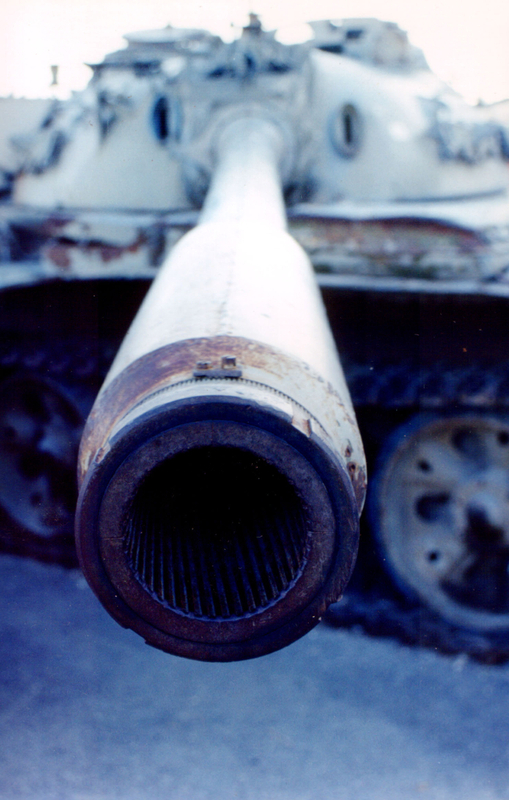 Shaking the bullet wound off, he climbed to the tank’s roof—only to be shot again, with debris ricocheting off the wall and toward him as if to pour salt in the proverbial wound. With the last of his strength, he pulled himself to the top of the wall and collapsed—in more barbed wire. On the verge of bleeding to death, he was rescued by nearby West Berliners, who dragged him to the safety of a pub near the wall. Engels would later recount that he knew for sure he’d made it to the west when he looked to one side and saw that all the bar’s liquors were western brands. After a two-week stay in the hospital, he was free to go—and free of East Germany. The reason 5,000 people were willing to risk their lives to travel from East Germany to West Berlin is simple. They believed that making it to what was beyond that wall was worth risking their lives. West Berlin was a way out of socialist East Germany and a way into the rest of the world. The Berlin wall stood between these people and what was important to them, and they were willing to put everything on the line to get past it—even if that meant hijacking a tank and becoming a moving target for border guards. As we once again approach the Passover and the beginning of God’s Holy Day plan, we are to be following God’s instruction to examine ourselves beforehand (1 Corinthians 11:28), taking an honest assessment of where we stand before our our Creator. And, just as every follower of Christ for the past two thousand years, we’ve had to acknowledge the distance between the person we are…and the person we want to become. Because there is a distance there. Hopefully it’s smaller than when we first began our walk with God, but it hasn’t vanished—and neither has the need for us to continue closing it. You’ve likely also noticed, if you’re a member of the human race, that closing that distance is often extremely difficult. If Christianity was simply a matter of waking up one morning and deciding, “I should be more like God,” then we’d all have sprinted down that road at full speed and become perfect by mid-afternoon. No, what we discover on the road to attaining Godly character is that the distance between ourselves and our Creator is one that cannot be sprinted, because it is littered with roadblocks—and not the kind you can sidestep easily and walk past. No, our paths are filled with our own personal walls. Jesus warned His disciples that “narrow is the gate and difficult is the way which leads to life” (Matthew 7:14), and He didn’t say it that way for dramatic flair. The way to life is difficult because, unlike the broad path leading to destruction, there are walls in our way. We can’t choose to simply sprint to God and be filled with His character in an instant—in fact, we develop that character in increments every time we get past one of these walls. And what are these walls? The prophet Isaiah was inspired to explain exactly what keeps us at a distance from God: “Behold, the Lord’s hand is not shortened, that it cannot save; nor His ear heavy, that it cannot hear. But your iniquities have separated you from your God; and your sins have hidden His face from you, so that He will not hear” (Isaiah 59:1-2). When we sin, especially when we fall into a habitual pattern of sin, we build up the walls that separate us from God. God hasn’t constructed some sadistic obstacle course to make it difficult to reach Him—we do that on our own. Because God is the antithesis of sin, every sinful action on our part only adds to the hurdles between us and Him. We may by default consider the purpose of a wall to be one of protection or defense, but the Berlin Wall (and other walls like it) reminds us that walls can just as easily be used to make us captives. And though we are instrumental in constructing these walls, our adversary the devil is more than happy to provide us easy access to all the brick and mortar we could possibly need to reinforce them—the more entrenched we are behind the walls of our own sins, the harder it becomes for us to reach God. Wolfgang Engels knew that a wall—a wall he had helped reinforce—stood between where he was and where he wanted to be. He was prepared to do whatever was required to get past that wall, even when that meant sustaining extreme pain in the forms of bullet wounds and barbed wire entanglements. Satan isn’t going to make it easy for you. Like the border guards of the Berlin Wall, he won’t hesitate to launch his fiery darts at you the moment you make a run for it. The last thing he wants is to see you get over the wall in front of you…or the one in front of that, or the one in front of that. He has you right where he wants you—trapped in your own iniquities. What he wants is to convince you to lie down and give up the fight—that it isn’t worth it. What he wants is to keep you from understanding that God has placed the power to overcome those walls at your disposal. 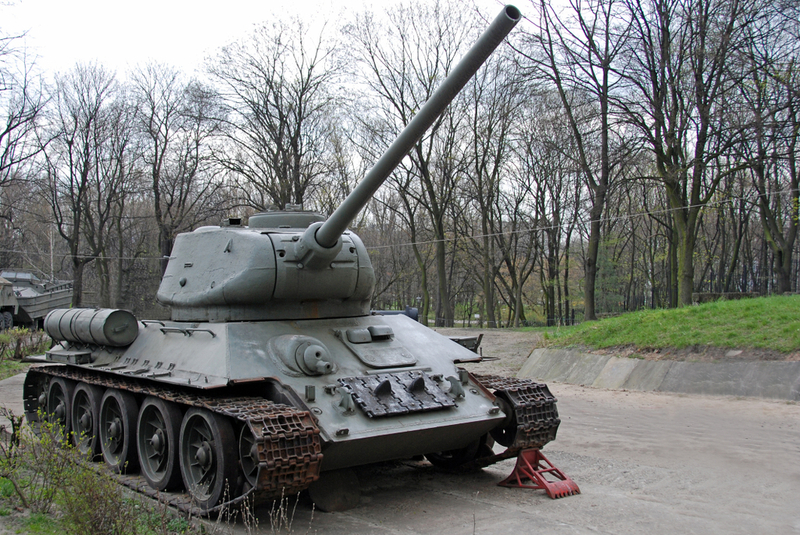 Engels had a tank at his disposal. That’s an impressive piece of machinery in its own right, and the fact that he decided to repurpose it as a battering ram is a credit to his ingenuity. But what are we supposed to throw at spiritual walls? We don’t have a spiritual tank, do we? The Bible reminds us that “though we walk in the flesh, we do not war according to the flesh. For the weapons of our warfare are not carnal but mighty in God for pulling down strongholds, casting down arguments and every high thing that exalts itself against the knowledge of God, bringing every thought into captivity to the obedience of Christ” (2 Corinthians 10:3-6). No, we haven’t been given a spiritual tank. We’ve been given something far more fearsome—something capable not only of making holes in our walls, but of tearing down entire spiritual strongholds that oppose righteousness. We’ve been given, as baptized members of the body of Christ, the Spirit of God. Let me repeat that: the Spirit of God. That’s not just flowery language. The very Spirit that God used to call the universe into existence, that selfsame power that remodeled the earth during the opening verses of Genesis, that Spirit has been given by God to us. We don’t just have the capability to knock a hole into our walls—we, with the help of God, can completely level those walls. We can reduce them to dust and grind them into a fine powder. But do we want to? Because here’s the thing. There were plenty of people in East Germany who wanted to get out. But over the course of 28 long years, only 5,000 or so ever made the attempt—because only they wanted out badly enough. It’s one thing to wish we were on the other side of our walls—to wish we could overcome our sins and become more like God. It’s another thing entirely to want so badly to be on the other side of the wall that we are willing to endure the attacks of our enemy while we throw everything we have at it. If we’re tolerating our walls instead of launching a full-scale assault on them, we have to ask ourselves the question: Do we really want to be on the other side? That journey is not an easy one. Christ called it a difficult way for a reason. If our focus isn’t on what awaits us at the end of that path—eternal life as a child of God in His Kingdom in a world free from sin—then that same path will defeat us. The walls won’t be worth climbing. We must keep our focus on the calling the lies before us—a concept the apostle Paul echoed when he wrote, “Brethren, I do not count myself to have apprehended; but one thing I do, forgetting those things which are behind and reaching forward to those things which are ahead, I press toward the goal for the prize of the upward call of God in Christ Jesus” (Philippians 3:13-14). God has provided you with the tools to dismantle your walls. With repentance and an earnest heart, God will help you bring the mightiest stronghold of sin crashing to the ground. But you have to want it before you’ll ever take the steps to make it happen. So let’s keep our eyes on the Kingdom and resolve, just like Wolfgang Engels, that no wall will stand in our way. 2 Responses to "on Breaking Through Our Walls"
I really love this Sabbath Thought. The connection made between the Berlin wall and our spiritual walls is great. Great job, Darling!